The Lead Designer Steve Bristow discusses some of the things that make Strange Brigade unique. 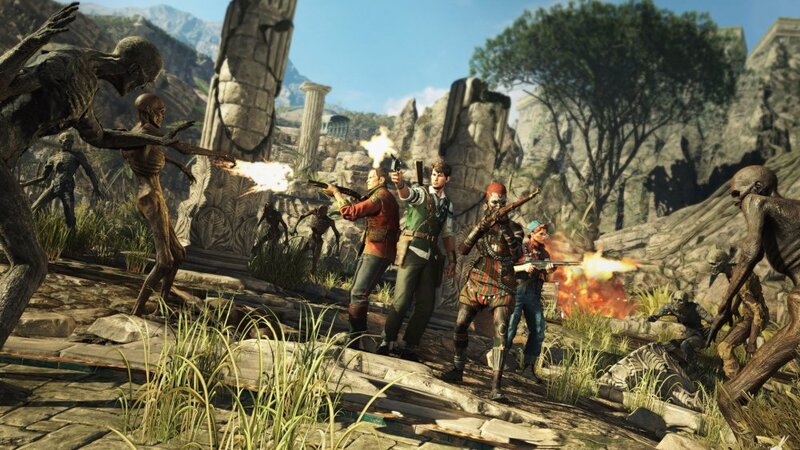 Strange Brigade is out now and for those of you who don’t know what it is, it’s a third person co-op shooter from Rebellion Development. To learn more about the game and its development, Gamingbolt reached out to the developers with some questions and the Lead Designer Steve Bristow provided the following answers. "The setting spilled out of the main desire to make a game around something akin to the classic bandaged mummy monster that has become popularized in so many classic stories and movies"
The game features quite a unique setting with Egypt in the 1930s. What inspired you to use this setting? It’s a fantasy version of Egypt and more broadly North Africa as seen through the lens of a pulpy serial adventure movie. The setting spilled out of the main desire to make a game around something akin to the classic bandaged mummy monster that has become popularized in so many classic stories and movies. It’s become a horror and thriller icon and we really wanted to create a game featuring it in a major way. 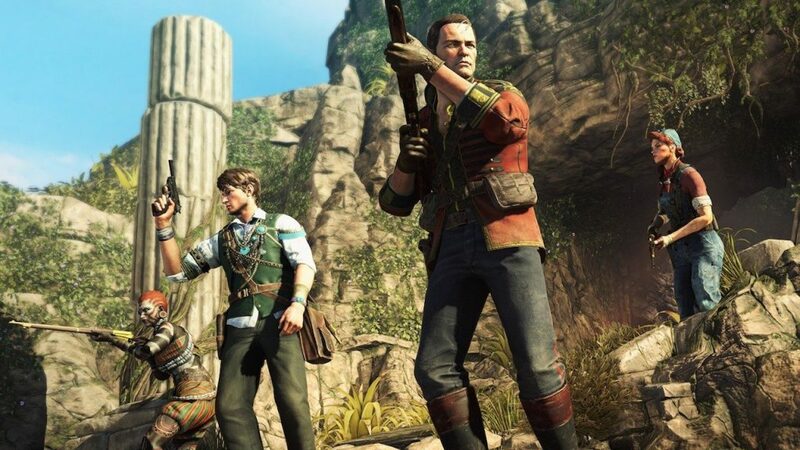 The story and the characters of the Strange Brigade built up around this and took on a life of their own. Then the link to the old black and white matinee movies tied it all together and gave us the direction for our setting. Although the game is focused on co-op gameplay, how viable and enjoyable would it be to experience the game as a solo player? Like all of the co-op games we’ve made at Rebellion (and there are a few now), we gave the solo and co-op gameplay in Strange Brigade equal weight. It’s absolutely a game that we’ve designed to be played solo AND in co-op without compromising either. Singleplayer feels and plays differently in some respects but you’re not going to miss any of the content, it’s just a different vibe. I liken it to going on a haunted house ride at the fair; you’re laughing along when you go on it with friends but on your own, you can’t help but get a bit of a chill! How does the campaign in the game work exactly? Is there a definite end or is it open-ended? The levels unfold with a light narrative and come to a suitably thrilling conclusion but, we wouldn’t be being true to our source material if we didn’t throw a cliffhanger and a ‘To Be Continued’ in there! We’ve also put a lot of work into making the levels replayable. There’s a lot of stuff in them that I’m not expecting players to get or find on their first playthrough. On a related note, what are the post-launch plans for the game? We’ve recently revealed a trailer detailing exactly that. We’ve confirmed free monthly content is on the way, though we’ll go into more details about that nearer launch. We also have a season pass that offers significant amounts of content including a three-part mini-campaign, new characters, amulets powers, weapons, outfits and more. We’re talking in broad strokes for now and will be revealing our plans in more detail soon, but we want to make sure players know we’ve got substantial content on the way. What is the progression system like? We’ve gone for something more like a customization system than a conventional progression system. You’ll be able to unlock more powerful weapons and new amulet powers but for the most part you need to thoroughly explore each level to discover the items that’ll allow you to improve and tune your arsenal – and that includes the magic gems that add cool buffs to your guns like shock attacks, better headshots or even health draining. "It doesn’t take itself very seriously at all and I think our players will see it as an antidote to more philosophical, po-faced, grimdark stuff"
There are many co-op shooters vying for players’ attention right now. What would you say sets apart Strange Brigade from its competition? Strange Brigade is really set up to be played how you want to play it. You can settle in for an evening and go treasure hunting with your crew or spend 10 minutes blasting through an undead army or two. It doesn’t take itself very seriously at all and I think our players will see it as an antidote to more philosophical, po-faced, grimdark stuff. Any chance of cross play between PS4 and Xbox One owners? That would be amazing if it happens. How challenging will the game be for players? Is there a fairly high skill ceiling to master the game, and will higher skill be rewarded in some way? There are difficulty settings of course, and if you choose to play solo with the multiplayer settings switched on, it can get very intense. But I’d say it’s generally pretty accessible. What is the frame rate and resolution of the PS4 Pro and Xbox One X versions? The PlayStation 4 Pro offers 1440p rendering, larger draw distance, and improved screen space reflections compared to the regular PS4 version. We maintain 30 frames per seconds on consoles. Xbox One X offers 1800p rendering, improved shadow resolution, larger draw distance, higher quality texture filtering, and improved screen space reflections relative to the Xbox One version. Next gen is coming sooner or later. From a development perspective, what is your biggest expectation from the next PlayStation and next Xbox? Wow, what a question. To be honest you’re asking the wrong person. As much as I love what we can do with the technology of the latest systems, I’d be happy making games on my old Commodore 64 if people would still pay for it!